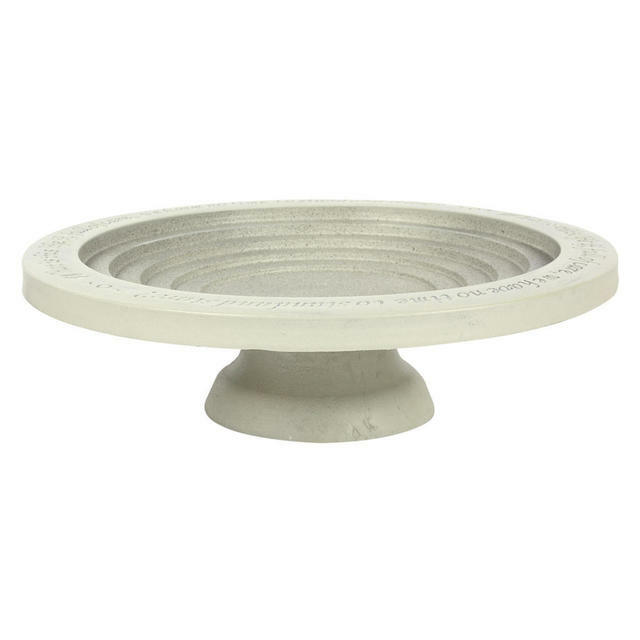 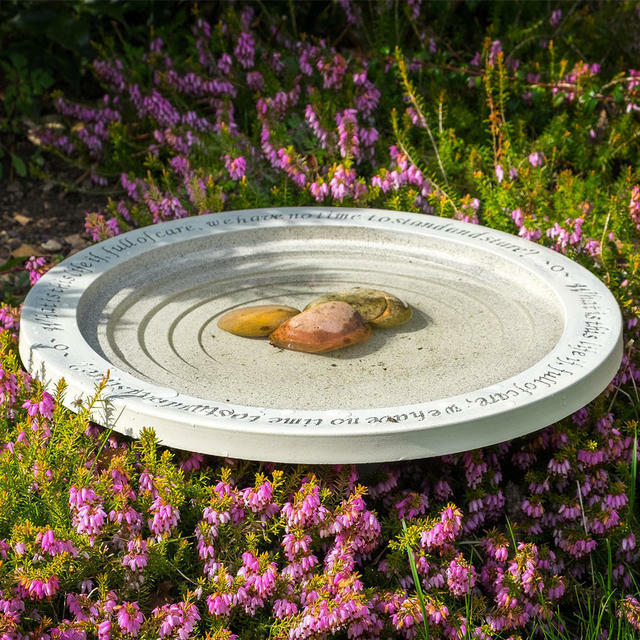 Classic cream bird bath is the perfect location for small garden birds to find somewhere to drink and bathe. 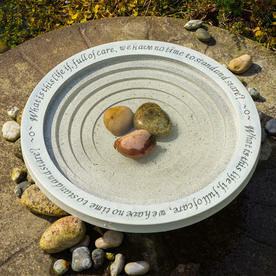 With graduated ridges into the centre of the bird bath, allowing small birds to drink and bathe in shallower waters. 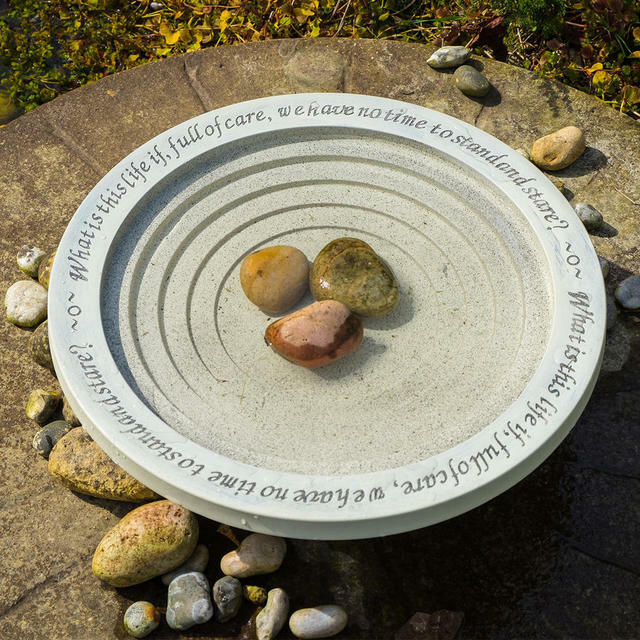 "What is this life if, full of care, we have no time to stand and stare.."
Simply place a couple of large pebbles in the centre to give the bath a focal point and somewhere for birds to land. 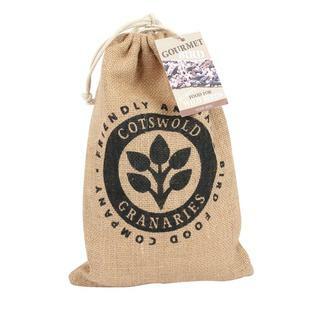 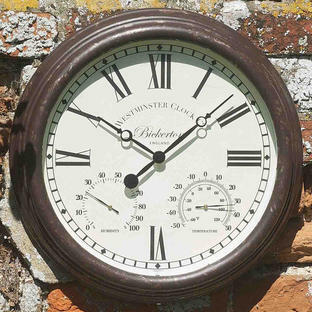 Keep the water topped up in hot dry weather. 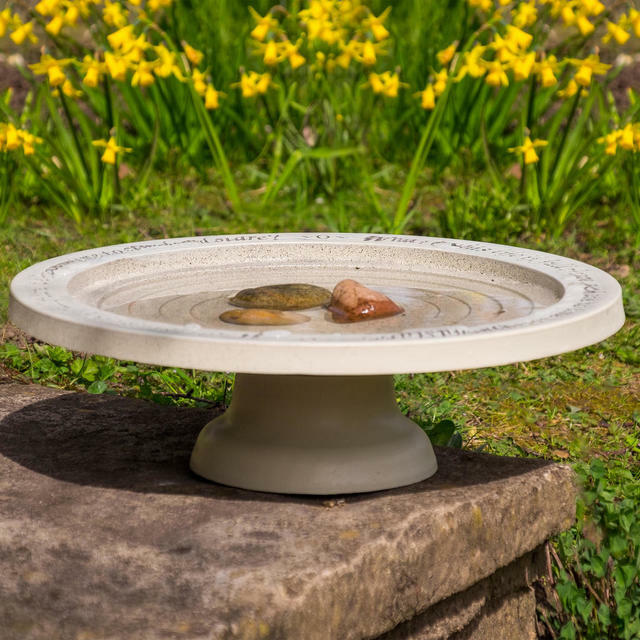 The bird bath has a separate stand. 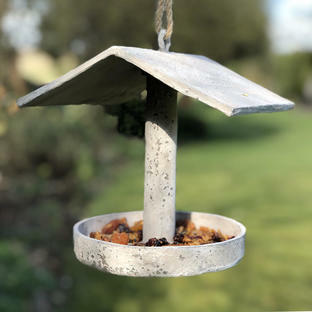 Made from recycled plastics and clay.